Hello! I think I have found my perfect pink! Of course it's been sitting right in front of me for a long time. 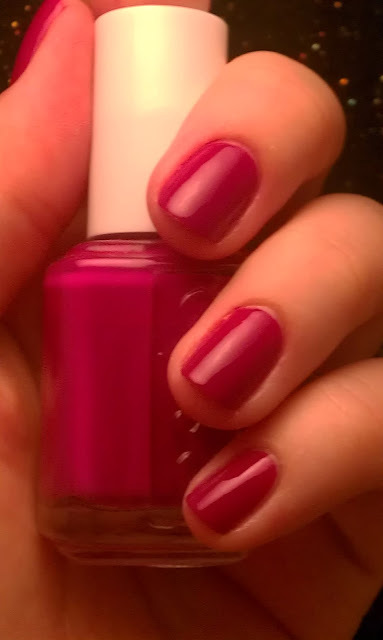 This is Essie Big Spender. It's a darker more reddish pink, with a little bit of a purple undertone. I think the darker pink looks better with my skin tone. This is 2 effortless coats! Enjoy! Also, I just want to send my thoughts and prayers to any families who were affected by the tornadoes in the Dallas/Forth Worth Area. That's my home town area. Thankfully my family is ok, but there was lots of damage all around. Oooh, this is a nice pink! It's very rich looking and only 2 coats is always a plus! Thanks! It is a rich color! I like the name of the polish big spender hahahah. The pink looks good on you! It's very fuchsia-y! I like it!! I have to say Mere that your application is so much better than when we both began blogging! It's like perfection here! Have you noticed? I sure have! Thank you so much for saying so! I have noticed, I should do a post on how how much it has improved! I'll have to have this pink! Gorgeous!! You do need it! Thanks! 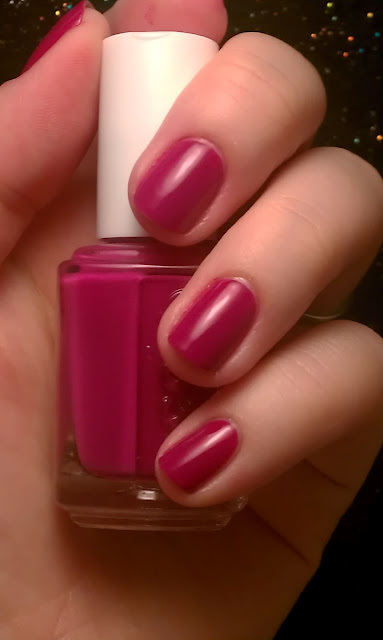 Big Spender is a really great polish for year round. One of my favorite Essies! Looks fantastic on you! This does look amazing on you! Glad to hear yr family are ok! It reminds me of a dark magenta! It is kind of that color isn't it! Great pink!! It looks great on you! this is such a pretty color!!! & it is so sad to see those houses destroyed... yesterday there was hail the size of eggs in my moms town! Thank you! Yes it is, I watched some video of tractor trailers being thrown through the air. I had hail here where I am, but none that big! It is the your perfect pink! Looks so good on you. Ooh I need to try this one! Love it!